Please contact info@jai.ie for more information. Junior Achievement Ireland is part of a worldwide organisation reaching out to over 10 million young people each year.Join us in reaching out to 63,000 students nationwide by becoming one of our 160 supporting organisations. Each year more than 3,000 business volunteers deliver Junior Achievement enterprise, life skills, financial literacy and STEM programmes in more than 500 schools. Findings from the European Commission’s 2015 report “Entrepreneurship Education: A road to success,” show the following results. According to a recent survey of our member organisations 100% believe JA programmes contribute to staff training and development. 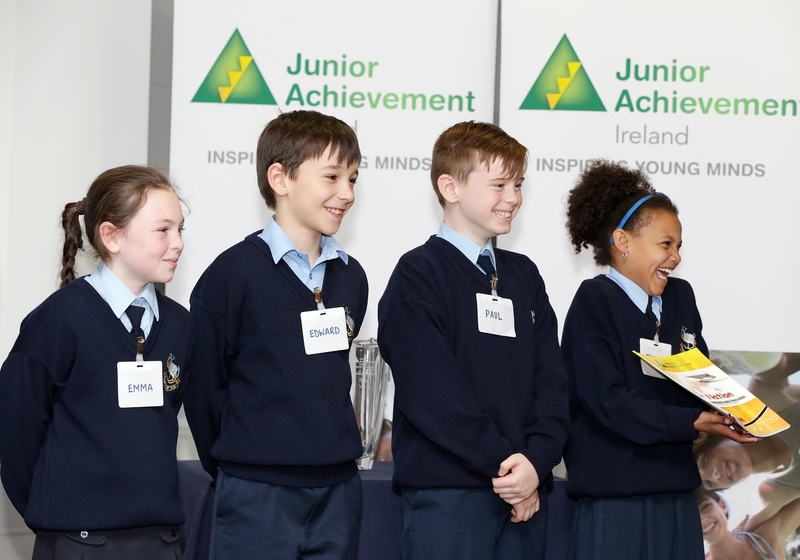 If you would like your staff to get involved in the local community while honing their presentation and soft skills, Junior Achievement Ireland is for you! An annual contribution covers the cost of programme materials, training and support to your staff. At the end of the school year each volunteer receives a Certificate of Achievement and we present a feedback report on your organisation’s involvement. A mid year report is also provided and ongoing contact is maintained, keeping you up-to-date and ensuring staff achievements can be recognised as part of your internal communication processes.